Do you have it all together? Is all of your stuff perfectly organized with it’s own easily accessible place? Then this post is a waste of your time. Clearly you’re not like the other 99% of the world. 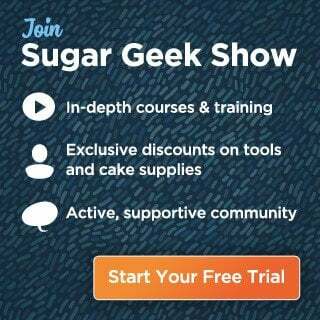 For everyone else though, this post might just be a life saver, so read on fellow caker clutter bugs and we’ll get it together, together! I have tried to avoid any “use organizing bins to organize” or “use shelves to put stuff on” tips, ’cause really, they’re not tips. Thanks anyway though Captain Obvious, you are relieved of duty. 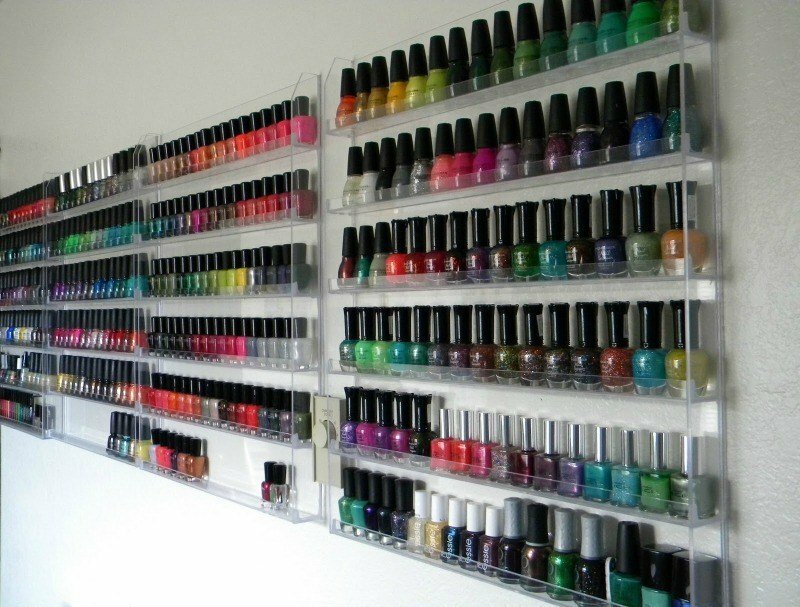 #1 Use nail polish racks to organize liquid and gel food colors! Four may be excessive but you never know. Tip provided by Helen Wilkinson of Who did the cake? 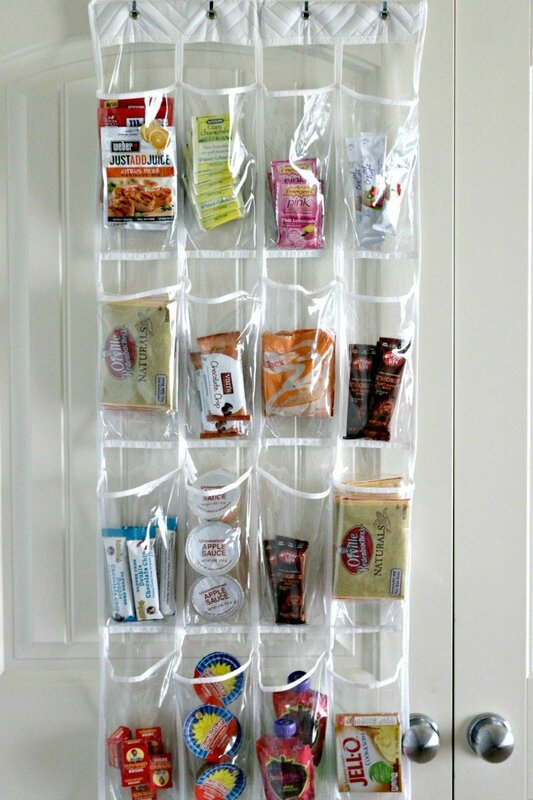 Here is another option for a nail polish rack if wall space isn’t in your space budget or you just don’t have 3 million bottles of food color. 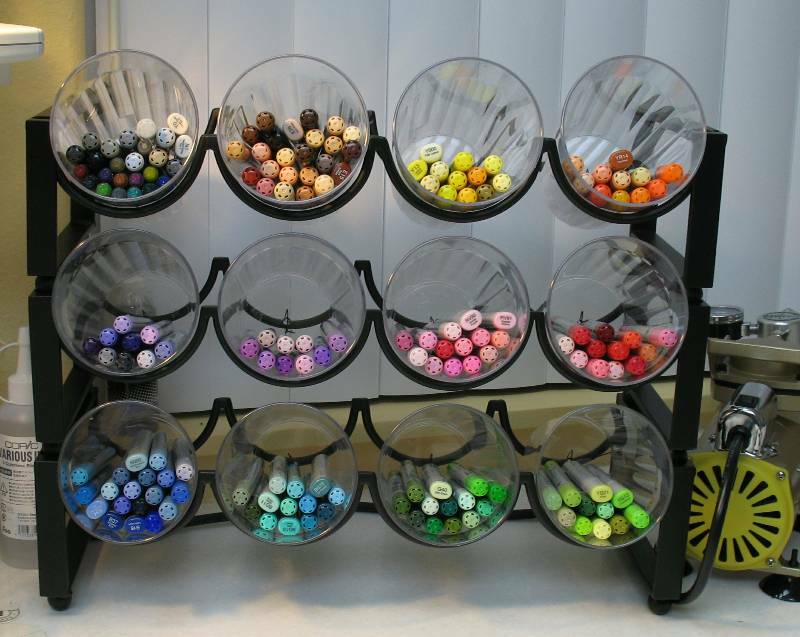 #2 Use a double sided thread and bobbin container to organize dusts or gels. Use one side for petal dusts and the other for lusters! Tip provided by Ashley Barbey of The Little Vintage Baking Company. 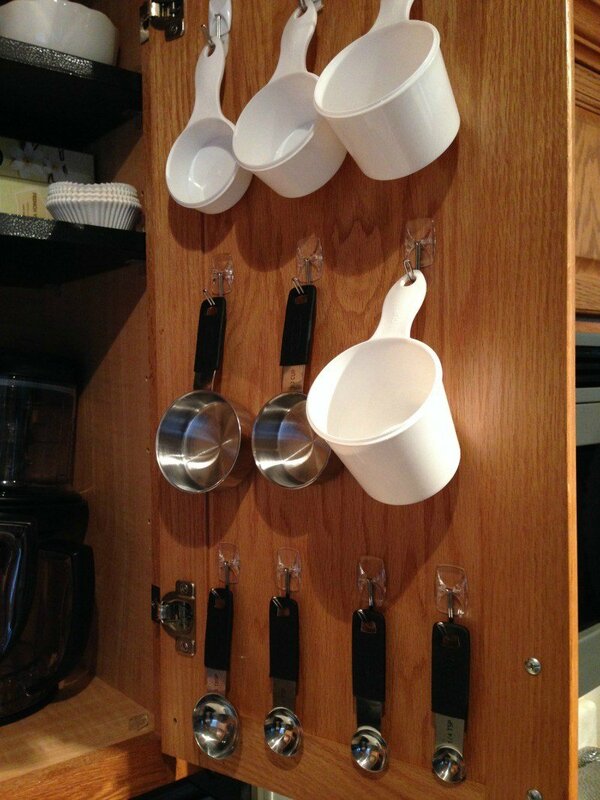 #3 Using Command hooks inside the door of a cabinet comes in handy for hanging all sorts of things including ProGel Food Colors! Space saver and it’s outta sight! Tip provided by Lisabel Sanchez of Tall Tiers of Joy. 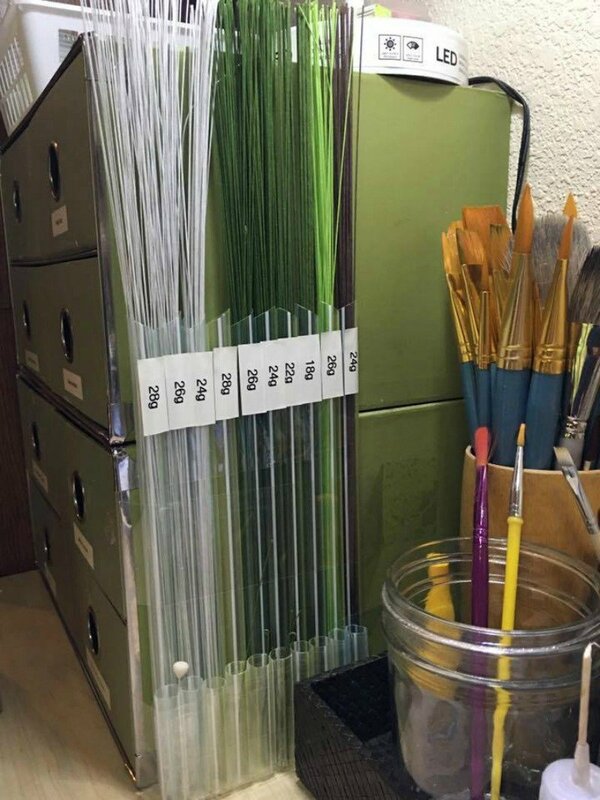 #4 Use Bubble Tea Straws to organize your floral wire by gauge! Seriously genius. Tip Provided by Shani Christenson of Shani’s Sweet Creations. 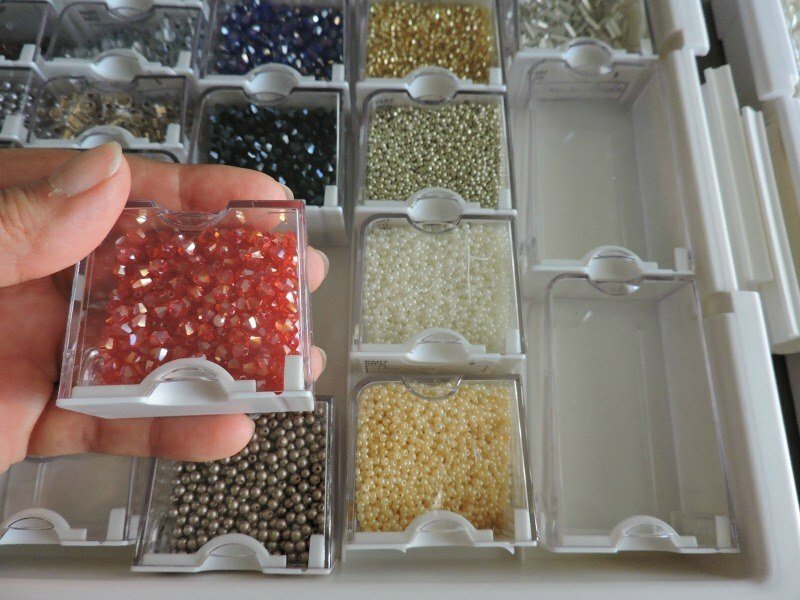 #5 Use bead organizers for tiny cutters! If you can find your tiny cutters to put them in there. Tip provided by Natasha Rice of Natasha Rice Cakes. #6 Use a dowel rod inside a cabinet or case to hold your ribbon for easy access and use. Not having to untangle 100 different ribbons to get the one you want probably saves a ton of time. Tip provided by Theresa Taubrich of Crazy Sweets by Theresa Taubrich. 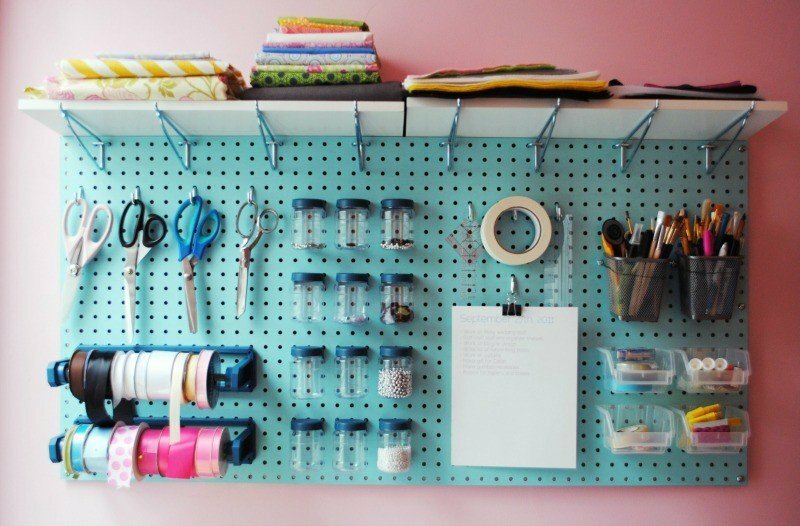 #7 Another great option for that pesky ribbon is to use peg board! I can see lots of other great uses for peg board too! Tip provided by Natalie Bryn of Cake Envy. #8 Over the door shoe organizers work great for sorting cookie cutters by shape or type! 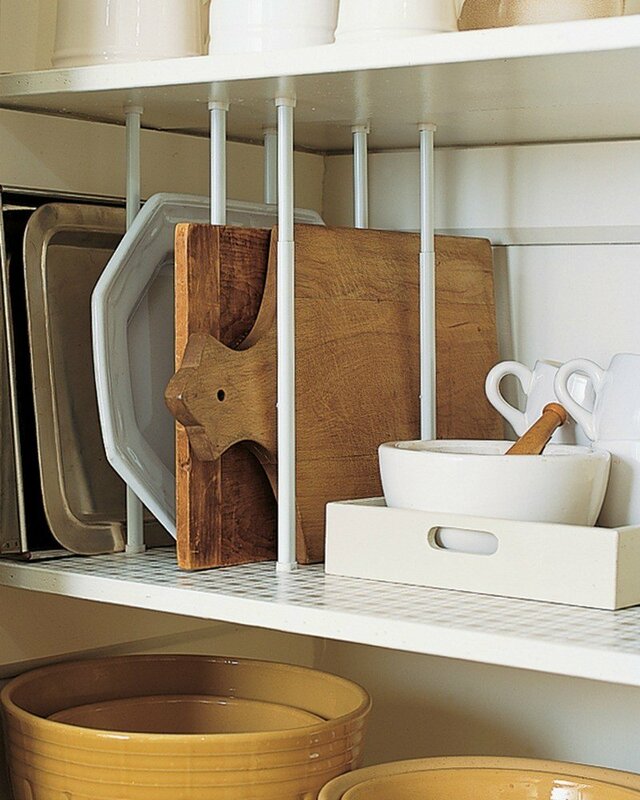 Hang them on the side of a cabinet or metal rack for easy access. Tip provided by Veronica Fabre of Little Chef’s Kitchen. 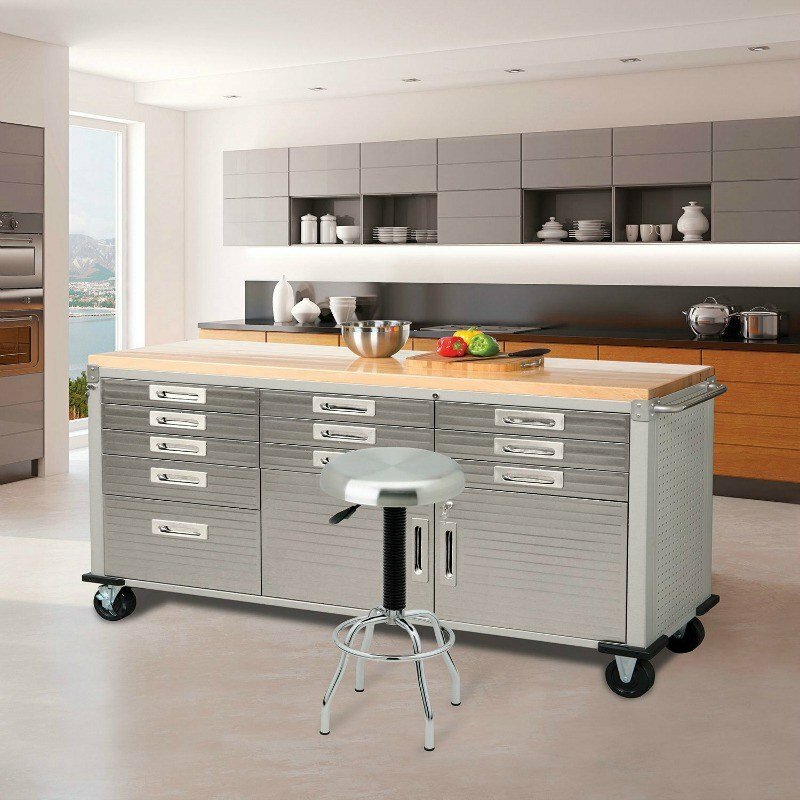 #9 Tool chests make excellent storage options for cake decorating supplies! If it’s in your budget, this is definitely an overall good option. Plus you’ll feel a little cooler right? I know I would. Tip provided by Dany Lind of Dany’s Cakes. #10 Use silverware organizers to separate and sort your paintbrushes by size or use. Add a little label on the top inside and voila! No more searching through a cup of brushes to find the right one. 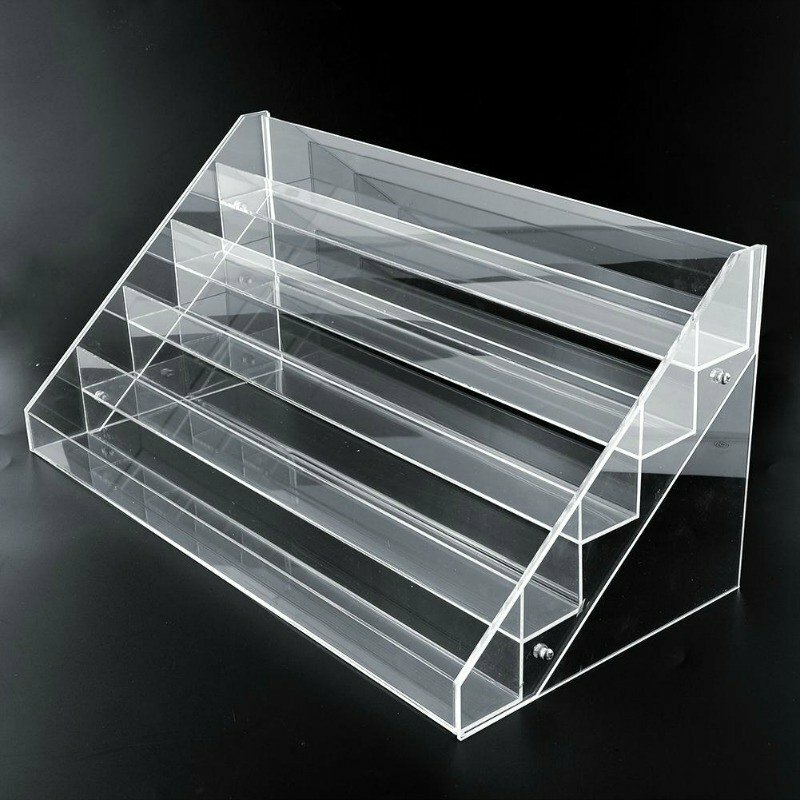 #11 Use a laundry organizer to store your cake boxes by size! In my house there would be a lot more coming out of this hamper and more often than the one that holds our laundry. 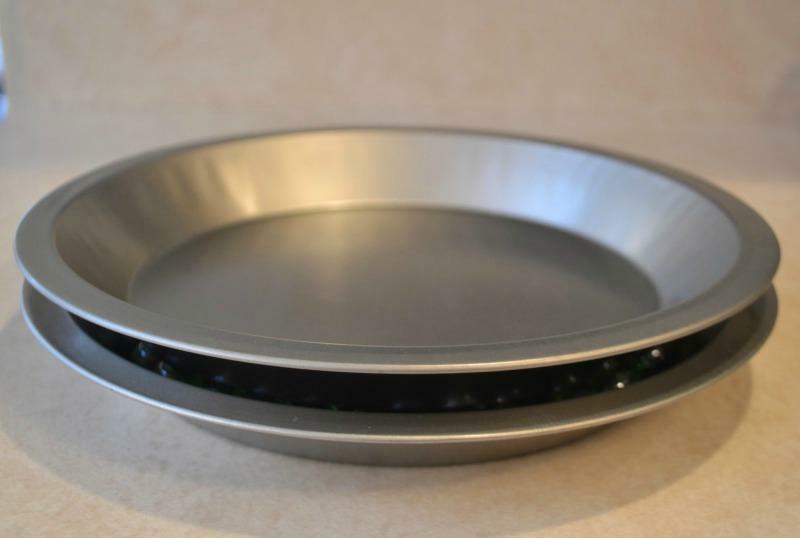 #12 Create an inexpensive lazy susan to store gel colors, edible paints or anything you can think of that could benefit from rotating easily. 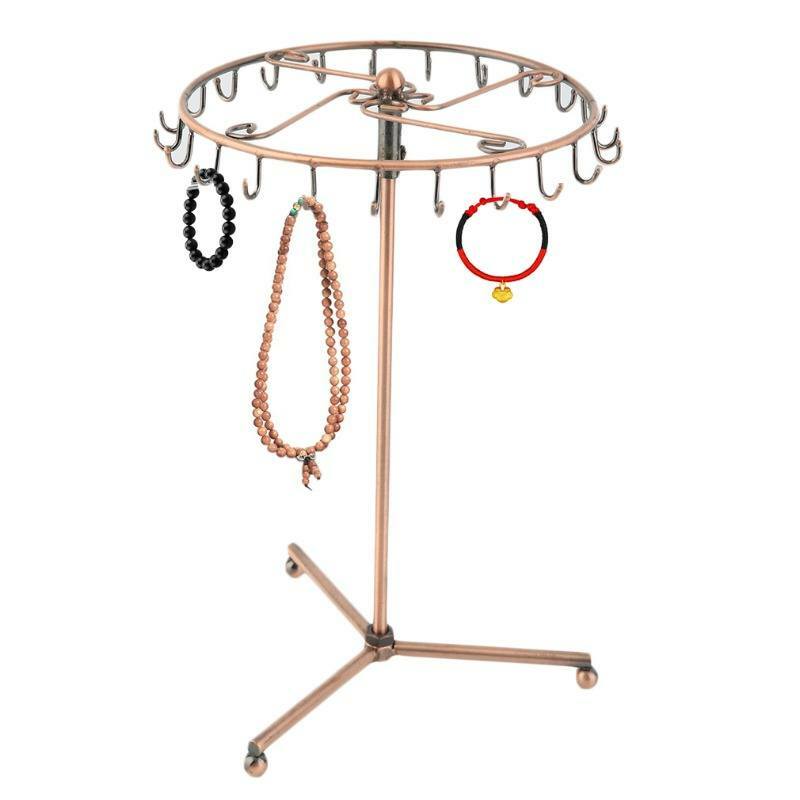 Take it a step further and glue a jewelry rack in your make shift susan for hanging items! 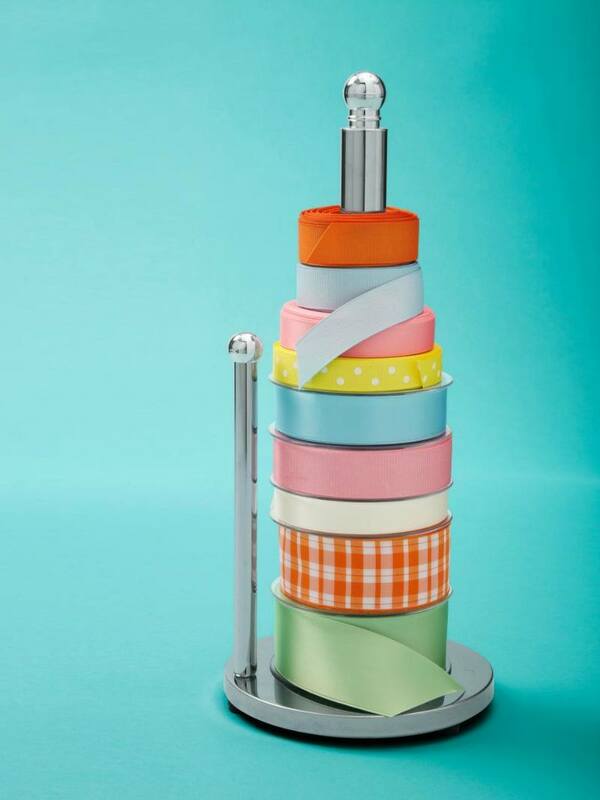 #13 Use a paper towel holder to hold your ribbon! 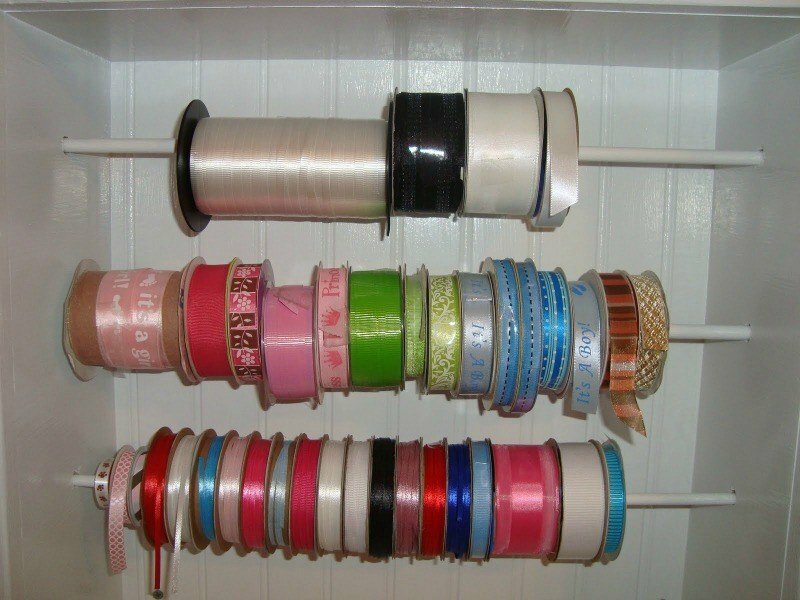 As if we needed another tip for how to organize our ribbon, but I thought this was another good solution for people who may not have the space for the two we mentioned before. #14 Make the most out your existing cupboard space and use inexpensive tension curtain rods as dividers to keep things a little more organized! 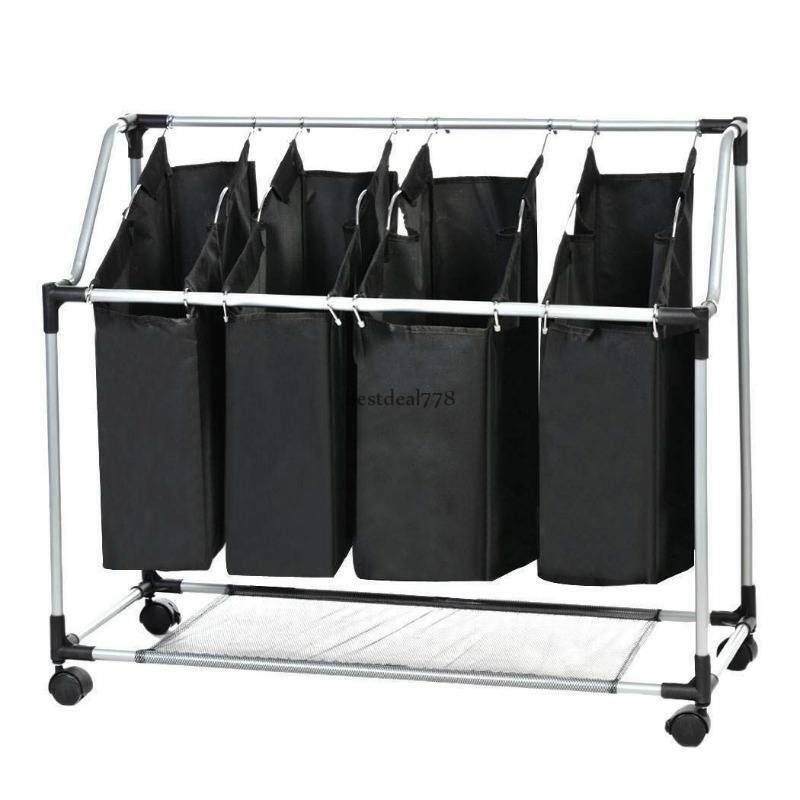 #15 Okay, so this one would take a little bit of work, but is an amazing space saver for storing large items and the long term benefit would be SO worth it! 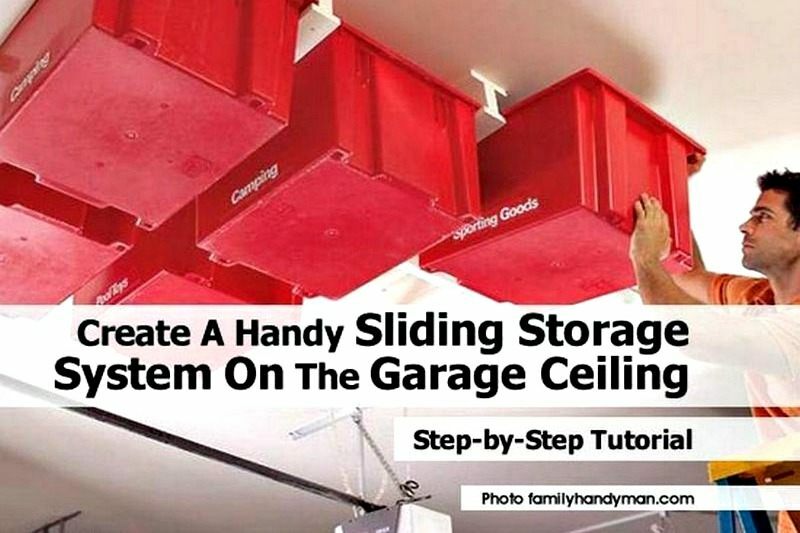 Create your own sliding storage system utilizing dead space in your garage! I’m thinking cake dummies, cake boxes, cake stands, any of those larger items that you don’t need all the time but can’t throw away! Click the image for the full tutorial. 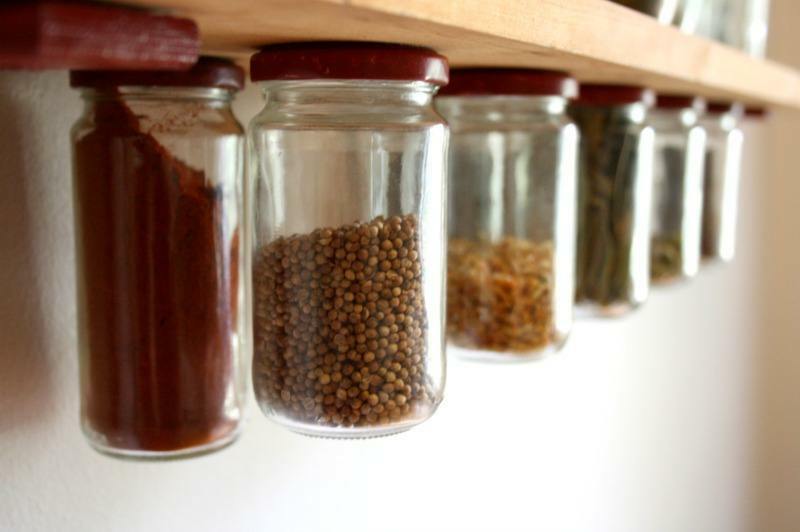 #16 Attach jars to the underside of a shelf or cabinet to organize and store small items such as piping tips, cutters, molds and so much more! You could go out and buy a bunch of jars I suppose, but why not use those jars your pickles, peppers or pickled peppers come in instead of throwing them away? 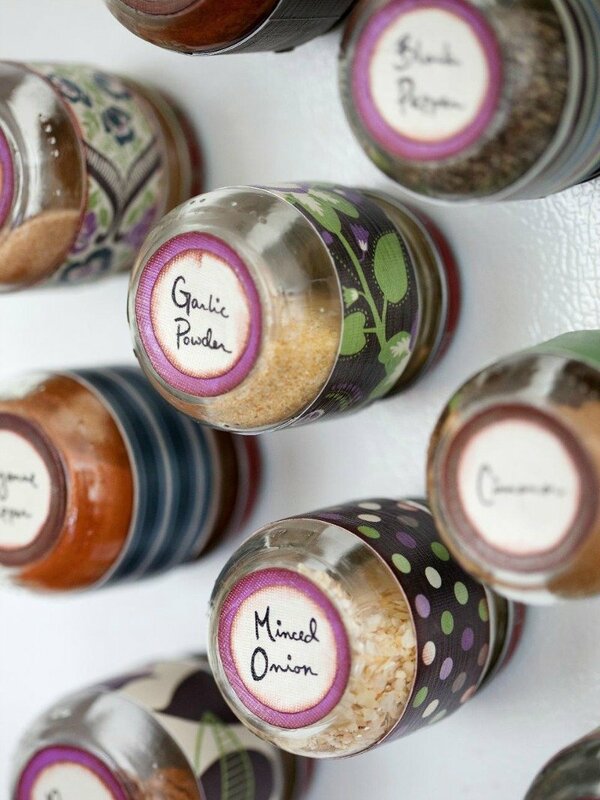 #17 Another genius jar hack is to re-purpose baby food jars by gluing a magnet to the lid and adding a label to the bottom to organize anything small! Sure wish I’d have learned about this 8 years ago. #18 Stackable wine racks and cheap plastic cups quickly becomes a very organized little center that could be used for many things! #19 Now this is genius! 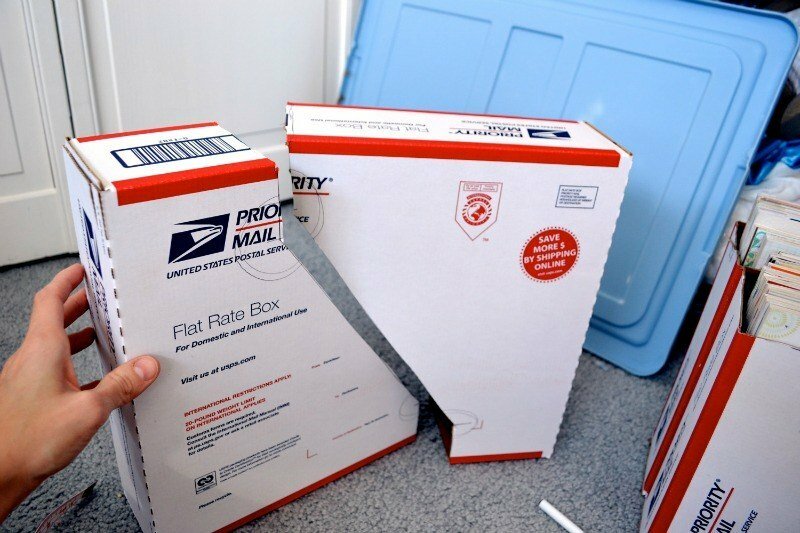 Cut priority mail boxes in half to make two “magazine” holders that in our case would be perfect for organizing cake boards! I guess you could also just use magazine holders but that certainly would cost more and not be nearly as gratifying. 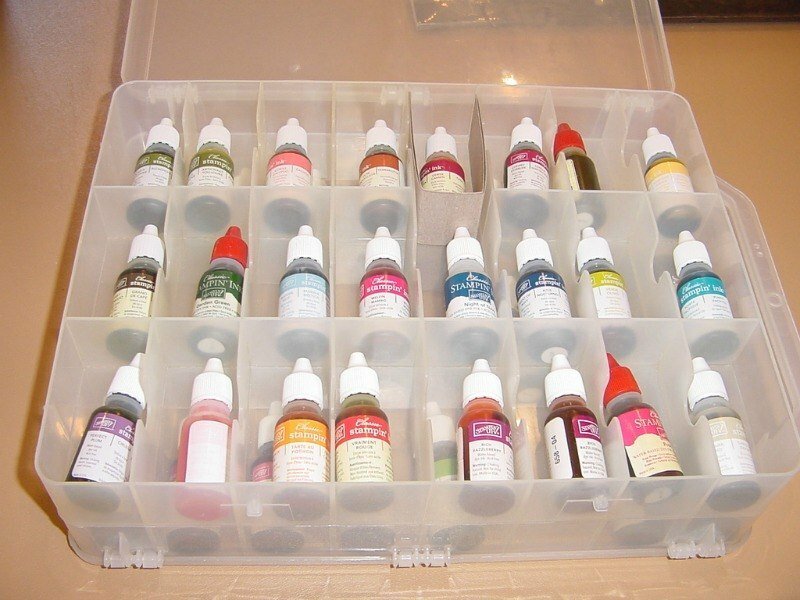 #20 Use a pill organizer to store your edible paint mixtures. 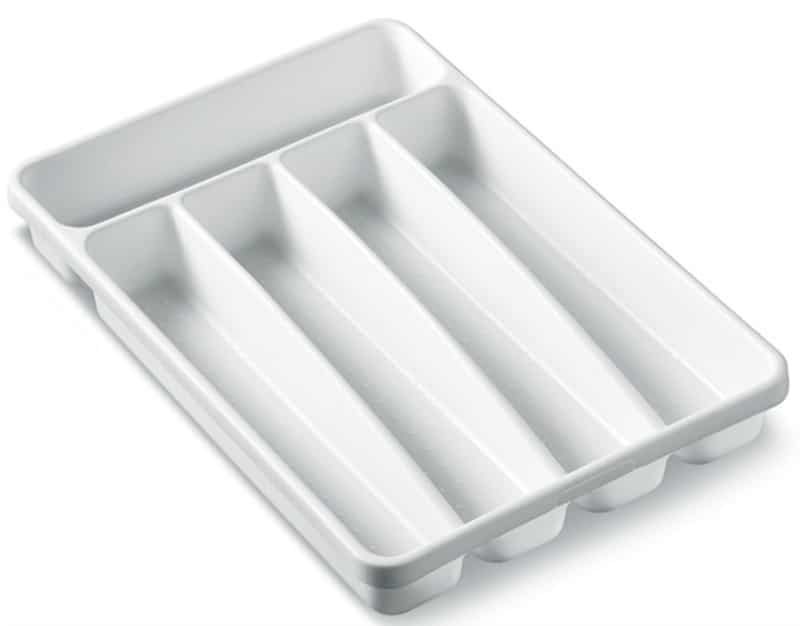 Most are airtight which will keep your alcohol from evaporating and give you easy access without having to remix and rewash palettes or containers! Paint a dab on a small piece of fondant to adhere to the top to let you know the color. WELL I don’t know about you but my life has certainly changed after going through this post and I haven’t even put the ideas into action yet! So many amazing ways to organize our stuff, I don’t suppose we have much excuse anymore do we? Go on, dig into that mess and get things organized!